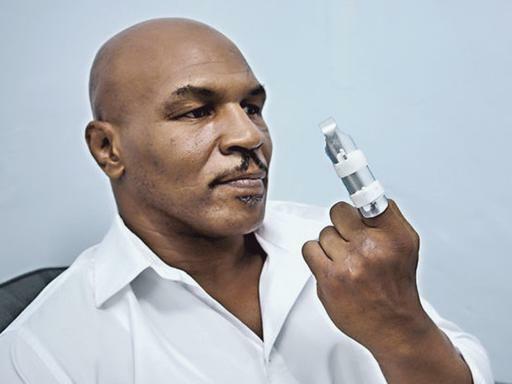 Mike Tyson: Donnie Yen fractured my finger! 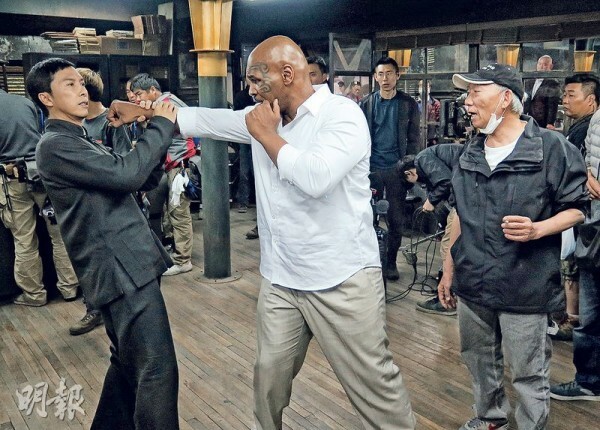 Former heavyweight boxing champion Mike Tyson recently flicked his left forefinger to the media and revealed that Hong Kong’s “Strongest Man in the Universe”, Donnie Yen had injured it while they were filming “Ip Man 3”. As reported on Oriental Daily News, Tyson, whose left index finger was heavily bandaged during a set visit recently, stated that it was fractured when Donnie accidentally hit it during a combat scene.“All of you were worried that Donnie will get injured. Nobody cared about me. Now I am injured, still nobody came to console me,” he joked. Donnie later explained that he accidentally elbowed Tyson’s finger while trying to accommodate the camera. “I knew that I bumped into him, but I didn’t know it was that serious. He was very professional about it and we even continued filming. It was only later at the hospital that he was told that his finger had fractured. I am truly sorry!” said Donnie. The actor was also full of praises for the former boxer, saying that they often shared knowledge about fighting during breaks. Visit the link here for the full story.